Abstract: A review is given on the purposes, scope and present state of oceanographic modelling, with reference to existing and potential management applications. Particular attention is paid to predictive numerical models. Forecast models of tides, meteorological driven surges and waves in shelf seas are perhaps furthest developed, and are particuarly relevant to coastal protection, coastal and offshore engineering and navigation. Such models can also be used to improve statistical estimates of extreme and long–term conditions for design purposes. Circulation, dispersion and transport modelling is at an earlier stage of development, and validation data is generally harder to obtain. Nevertheless, such modelling has important applications to e.g. fisheries, waste disposal, accidental spillage and dredging. These applications also require the integration of biological, chemical and sediment interactions and transports. Abstract: The publication of the 15th Edition of the American Petroleum Institute (API) Recommendations in 1984 changed the guidelines for the design of piles in cohesionless (sand) soils and, in particular, the design of piles under tensile loading. Subsequently, the 17th Edition also provided revised recommendations for the design of piles in cohesive (clay) soils. 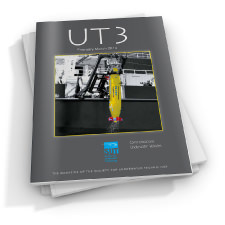 This paper quantifies the changes that may occur as a result of the application of these revised procedures and relates them to the factors of safety generally applied to the design of the foundations for offshore structures. Computed capacities are compared with the results of relevant pile tests. (a) Normal practice onshore is to load test some piles to check that the design method used is providing reliable results for the particular pile and soil conditions at the site. Based on the test results, the piling configuration is accepted or amended accordingly. This is rarely done offshore and, in most cases, would be impractical. Thus the reliance on the design method is greater for offshore piles. (b) The client frequently specifies the design method for offshore piles; this is rarely done onshore. Thus design methods have a higher profile and wider acceptance in the offshore industry. (c) If at any stage, e.g. during installation, there is a lowering of confidence in pile capacity the cost of remedial measures offshore may be an order of magnitude higher than for comparable structures onshore. Thus the consequences of a design method being in error are much greater for offshore structures. In view of the above, studies such as the one described in this paper for the current API recommendations are frequently performed to check the reliability of offshore design methods. Underwater Viewing Systems ― Why are we Never Satisfied? (i) An intelligent automated work system (robot) which requires little real–time supervisory control. In following route (ii) we are striving to build an ‘extension’ to the human operator that allows him to carry out work in a difficult and remote environment in a similar manner and with similar efficiency to which he is accustomed when carrying out that work at the surface. In order to achieve this, the operator must be presented with equivalent sensory information concerning the task and be able to effect identical motions at the work site but from a remote control station. Abstract: The following reading list is suggested to the student or non–specialist who wishes to learn more about ocean waves, but does not yet have sufficient knowledge of the subject to identify specific topics in a literature search, or whose level of interest does not justify the time needed for such a search. Hopefully, it will also be of use to the specialist to remind them of the more recent publications the list is of course subjective, and if it provokes debate, then one of the objectives of this series will have been realised. There are such a large number of books published on the subject of ocean waves that it is necessary to declare some special interest to make a review like this both tractable and to make it more useful to the reader. I will take the viewpoint of someone interested in the measurement, interpretation and specification of waves to provide data for engineering applications. This includes the velocity field within an individual wave for instantaneous wave forces on a structure, the short–term statistics of wave properties, and wave climate statistics to determine probabilities of extreme wave conditions (e.g. the “100–year wave”). Abstract: There are now a large number of pipelines in the North Sea for the transportation of oil and gas. Each of these pipelines was specifically designed for a field development plan, as it was planned at the time of installation. During the operating life of a field the production level rises to a plateau and then, after a period which is often disappointingly short, it gradually reduces leaving spare capacity in the pipelines. This spare pipeline capacity could be utilised for the transportation of oil and gas from new fields. Apart from a few recent developments, no provision has generally been made in these existing pipeline systems for any future connections. By utilising existing facilities, both platforms and pipelines, the development costs of new fields can be minimised. For example, where spare capacity exists on a nearby platform, processing of the product for a new development can be undertaken (subject to satisfactory agreement between operators) on that platform rather than install a full processing facility on the new field. The requirement to ‘tie’ into existing facilities is now more important that ever due to the fall in oil prices. This paper considers the current development of pipelines in the North Sea and then discusses methods by which subsea junctions may be installed in both new and operating pipelines. Operating considerations are identified and conclusions drawn. 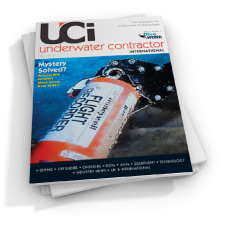 Abstract: This paper discusses how recent developments in offshore site investigation have been reflected in the methods used to design foundations for offshore structures. The authors review the latest techniques in both soil sampling and in–situ testing and give examples from recent site investigations. Similarly design methods for both offshore piled and gravity foundations are examined. 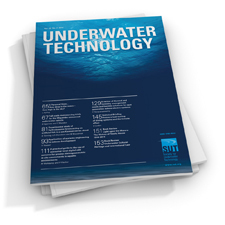 The authors conclude that offshore site investigation techniques, especially in–situ testing of soils, have far outstripped developments in offshore foundation design. Abstract: Although its roots can be traced back several centuries, the UK marine aggregate industry as we know it today is almost exactly 25 years old. Within its fairly short life, the industry has already seen rapid expansion and then in the early 1920s the decline in the fortunes of the building industry generally. Over the last few years we have seen a steady increase in the landings of marine materials and we are now in the early stages of what I firmly expect to be new investment in ships, prospecting and wharf facilities for the future. At the same time the focus of environmental concerns on the marine environment and activities in it mean that those managing and controlling the industry have to be responsive to these concerns if we are to see the conditions in which the industry can continue to thrive. Few other countries have a similar industry; the UK is fortunate in possessing offshore resources accessible to markets in a way which no other country, in Europe certainly, does. The present industry has been called a ‘gatherer’ industry, but it contains within it the prospects for practical technological and systems development which can put the UK among world leaders in a field in which there is considerable international interest. Abstract: This paper is based on recent work by the author aimed at formulating a development scenario for deep sea polymetallic sulphide deposits (MPS), which will both maximise the benefits to basic science, and provide the underpinning research necessary prior to serious consideration of commercial exploitation. This study formed part of the 1986/7 programme of the Marine Resources Project (The Marine division of PREST, Manchester University), and was jointly funded by the DTI and MTD. It begins with a brief description of the nature, genesis, average grade and abundance of MPS deposits based on the data so far collected by the MPS programmes in the US, Canada, France, FRG and Japan. This is followed by the results of a large international postal survey of key academics, designed to establish a concensus of research needs in the area, and the results of a similar exercise to establish the views and requirements of industry. The results are presented following the normal chronological sequence for the exploitation of any resource; location/survey, sampling/proving, extraction and processing. The paper concludes with a consideration of the economic, legal and environmental factors which will influence the viability of MPS deposits as a resource. Abstract: This paper reports ongoing work investigating the use of a distributed problem solving approach to the automatic interpretation of sector scan sonar images. Previous work using a blackboard style knowledge based system architecture has proved useful for this task, but has suffered from speed limitations because of the bottleneck occurring at the blackboard. To circumvent this, the strategy employed here distributes the blackboard and associated knowledge sources across a number of processing nodes or agents who communicate and interact using a hierarchical interconnection topology. the resulting architecture is applicable to a range of knowledge based vision and other robotic applications. An initial introduction and classification of distributed problem solving architectures is followed by a brief description of the processing agent employed (the rational cell) and the interconnection strategy for sonar interpretation. Some preliminary results investigating processor loading and communication bandwidth are presented for a distributed implementation of a previously designed sonar interpretation knowledge base. 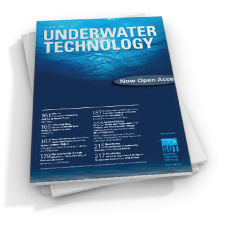 Abstract: Oceanography is a technology–led science. When a major new piece of equipment is introduced, big advances in the science follow with a time lag of perhaps ten years – while the scientists learn how to make use of it and to interpret the new information obtained. Thus the introduction of towed magnetometers in the 1950s led to the Vine–Matthews hypothesis and plate tectonics in the 1960s. The development of deep ocean manned submersibles in the late 1960s led to the discovery of polymetallic sulphides and black smokers some ten years later. The basic concepts and specifications of simple underwater acoustic beacons, or pingers, are described. While most of their specifications can be stated accurately, predictions of range capability are usually avoided by manufacturers, so the method of estimating their nominal range capability using standard sonar equations is explained from a designer’s point of view. There are many commercially available beacons on the market that sound very sophisticated in the sales literature; yet their electronic logic circuits are generally very simple. the examples presented here control the transmission of (i) and unmodulated carrier frequency in pulsed mode, and binary coded signals in the form of a carrier frequency modulated by (ii) amplitude shift keying (ASK) and (iii) frequency shift keying (FSK). A novel application, the local navigation of a small boat, is used to illustrate the usefulness of an array of simple beacons and conventional receiver. Abstract: Offshore moorings are usually designed on a quasi static basis, using mean wind, wave and current forces ― and making no explicit allowance for any dynamic contribution from second–order, slowly–varying wave drift forces and motions. These processes are often recognised implicitly, however, through weighting factors applied to the mean loads. This paper discusses the validity of the quasi–static approach in the context of mooring a large tanker and a semi–submersible floating production system. The simplicity of this approach contrasts with the complexity (but also potential cost savings, greater certainty and reduced risk) of performing a full dynamic analysis. The mechanism and theoretical basis of second–order wave loading are discussed. Comparisons with model test data have shown that these forces may be predicted quite well using numerical models when the vessel is large enough to diffract the waves. Results from either numerical or experimental simulations may, however, be unexpectedly sensitive to various features of the model, and there are a number of pitfalls. the paper concludes with a discussion on low–frequency damping, particularly on the role of ‘wave drift damping’, and on low–frequency response. Abstract: The paper introduces the BP DISPS deepwater oil production system which is aimed at developing the technology necessary to extract oil and gas from water depths in excess of 400m. Two DISPS development programmes undertaken by Dowty Boulton Paul Ltd are described, the first being a remotely operated subsea electro–hydraulic multipath controls connector and the second an equipment module soft landing system. 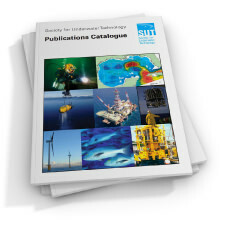 Abstract: The approach to the decommissioning and removal of offshore production platforms needs to be multi–disciplinary. Operational aspects will ultimately predominate, but the actual process of removal will be initiated by economic considerations primed by legal requirements. To date we have no experience of the removal of a major North Sea platform from water depths greater than 24m (West Sole) (Ref 2) though several paper studies are reported to have been carried out privately at the behest of oil companies. forecasts of this £5 billion market hint at removal of only a few of the smaller platforms within the next ten years but, nevertheless, a growing interest is apparent from conferences dedicated to this theme. A new awareness has been stirred by the 1987 Petroleum Act which for the first time gives the UK government powers to enforce removal of particular platforms. At the fore–front of the technical considerations is the question of whether a platform’s removal is simply the reverse procedure to that adopted for its installation and hook–up. Opinions are divided. We shall be considering the feasibility and difficulties associated with different removal procedures, especially those associated with lifting modules or pieces of them away from a redundant and diminishing platform. Figure 1 typifies a platform complex (Frigg) showing from sea level the daunting scale of the task ahead. The rigorous control of operations to ensure safety at all times is of paramount importance. In many instances it will not be a simple demolition job as on land: people will be working in close proximity and even underneath items being lifted and lowered. Nor do ships respond kindly to loads dropped from a height. Schemes for dismantling will need to be tailored to suit each platform complex and it is certain that it will be a well–planned, thoroughly researched, reverse–production style operation which will be presented for government approval. A major handicap for the oil companies is that there are no financial rewards, no incentives like earlier oil or gas production, just a load of scrap worth perhaps £30 per tonne. Abstract: The traditional concept of the Naval Architect is one who designs boats, yachts and ships. A broader description would be one who is involved in the design of anything that moves and floats in the sea whether on or under the surface. The role of the Naval Architect in such engineering projects is to coordinate the overall design so that they perform their task at sea in a cost effective manner. This does not mean that the Naval Architect designs everything in the vessel. This is the role of a multitude of specialists. To coordinate the design, the Naval Architect needs a very sound engineering background so that he is able to understand the problems of other specialist designers. As well as the overall design coordination there are specialist tasks which are traditionally those of the Naval Architect. (i) To observe the operability and effectiveness of equipment designed specifically for oil and gas exploration, and support of such equipment in a cold ocean environment. (ii) To study some aspects of the structural design and technical achievements used to develop this equipments. (iii) To understand the principles and model testing techniques employed to design this equipment. (iv) To combine all the above aspects into a working and experience–based knowledge by arranging to follow the development of a specific field in the Canadian Beaufort Sea.